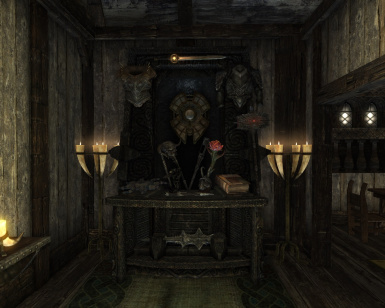 A modders resource that adds displays for many Treasures and Artifacts in Skyrim. 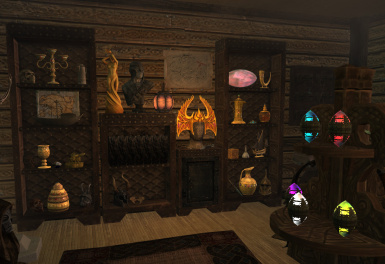 In the spirit of the popular General Stores mod, the displayed items are synchronized across all displays. Frostmyre Farm Reborn Required for the unique displays to work. and other permissions may apply for their work. 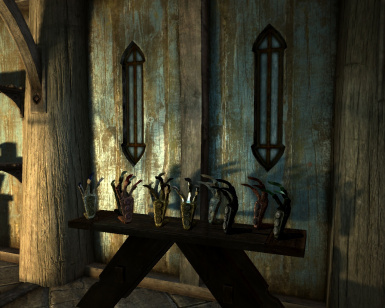 * Harvey2112 of course, for the General Stores mod.(http://skyrim.nexusmods.com/mods/18340). General Displays started out as an Addon to the General Stores Mod, but since Version 2.3 it works as a standalone Mod. 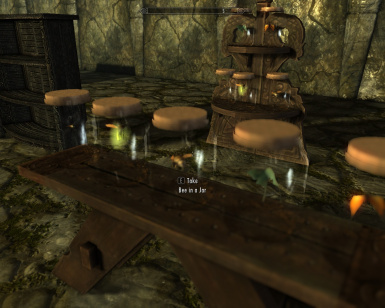 It is a Modder's Resource, that adds various displays (similar to the ones provided by GS) for many of the Treasures and Artifacts found in Skyrim. 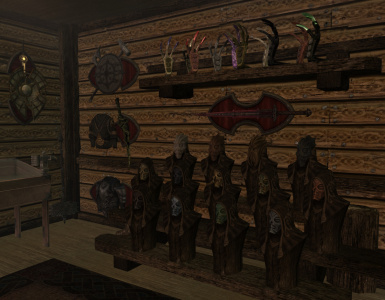 In the spirit of GS, the displayed items are stored in a shared container, and synchronized between all displays in the game world. Whenever a relevant item is added to the treasure container, it automatically shows up on all it's displays, and if it is taken from one, it is removed everywhere else. 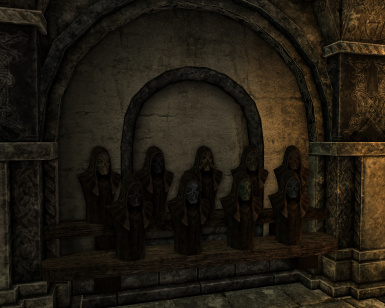 Half of the Thieves Guild Trophies and the Crown of Barenziah can normally not be obtained. 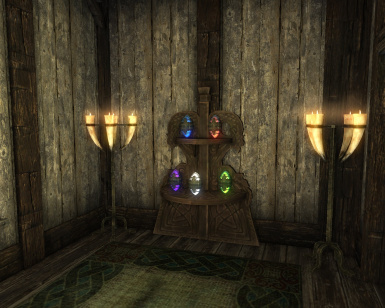 Therefore they can not be displayed on the shelves, unless they are added to the player by other mods (e.g., my Thieves Guild Treasure Fix mod was specifically designed for that purpose). 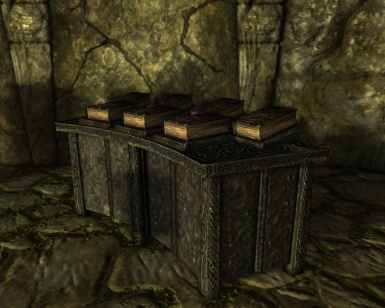 Similarly, the Elder Scrolls and Black Books are quest items, and can normally not be removed from the player's inventory. A mod that removes quest items (e.g. this one) can fix that. 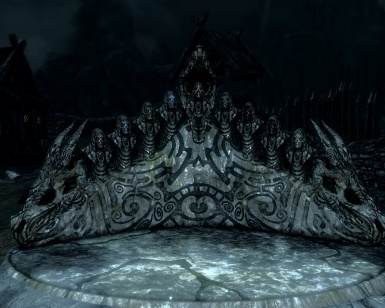 Only new content is added, and nothing in Skyrim is changed directly, so this mod should be compatible with basically everything. 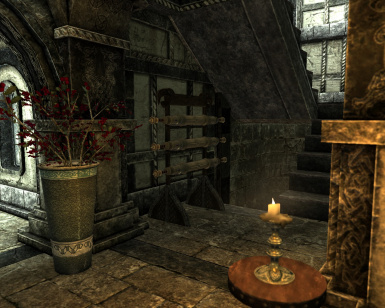 For use with the official DLCs Dawnguard and Dragonborn, optional addons are provided. There is also an optional patch that integrates the mod with General Stores, it is not strictly necessary for compatibility, though. None of the displays are made persistent (i.e. permanently hold in the memory), so there should be no impact on the game's overall performance. 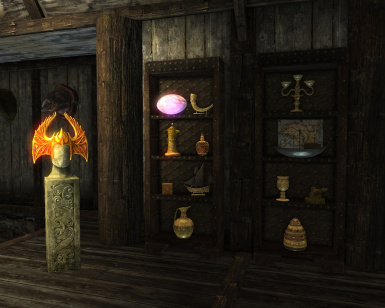 Depending on the total number of displays in the game world, it may take up to one or two seconds, until they are all updated after an item is added to the treasure chest. 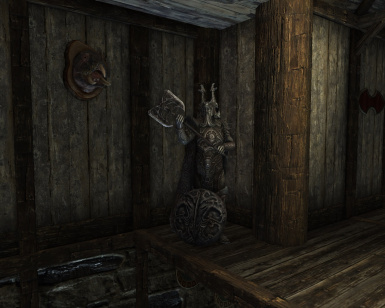 Just drop the "GeneralDisplays.esm" and "GeneralDisplays.bsa" and any optional addons into your Skyrim Data directory.Alternatively, use a mod manager. GeneralDisplays.esm: This is the main file. You need this. 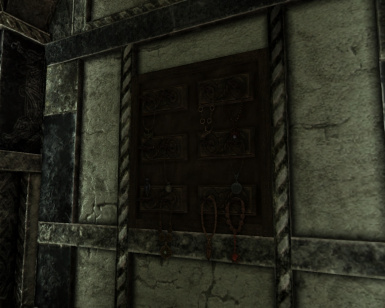 Using this mod is not much different from the original General Stores mod. Just go to the Activators in the Construction Kit, and you will find many entries prefixed with TFActxGSx. The simplest way is to look for activators with the word LAZY in their ID. These usually have the form of shelves with a bunch of orange markers on them. Just drag and drop one of those into your cell, and you are done. The displayed items will now appear in place of the orange markers. Alternatively, you can set up your own displays by placing any of the other activators. These usually look like the items they represent. Just drag and drop them anywhere in your cell, and they will show up as soon as their respective item is added to the treasure chest. 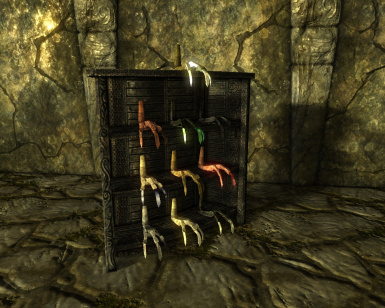 Some items are not included in any lazy displays, and this is the only way to display them. The activator TFActxGSxTreasureContainer can be set up anywhere to access the shared treasure container. It works exactly like a General Stores container, but can be used regardless of whether General Stores is installed or not. Trigger boxes can be created by clicking the "T" button in the creation kit menu, and then choosing the appropiate activator. You will want the player to be able to activate the triggers, so double-click the box, go to the "Primitive" tab and toggle the "Player Activation" checkbox. Due to a skyrim bug, the triggers can't be activated if their Z rotation is 0. The sort scripts do not check for quest items and will remove them from the player's inventory, even if they are still required for quests - this can be good or bad. If you want a proper sorter, with 3D mesh and everything, you can easily make your own. Simply copy any of the existing sorters and modify it as needed. You can control which items are sorted by opening its script properties and pointing "MyList" to any Form List. For inspiration, you can take a look at the sample cell provided in the optional download (The cell name in CK is "TFCellxGSxSample"). Harvey2112 of course, for the General Stores mod. You are free to use the mod and its resources in any way you like. Just remember that some of the work is not mine but from other modders (see Credits), and other permissions may apply for their work.